Black Friday and Cyber Monday are the most challenging days of the year for every online store, but with the help of Shopify tips the breakthrough in sales can be reached easily. As the world statistics shows, the highest sales are made during Holidays, from the end of November till New Year's Day. This short period allows earning almost 40% more than the rest of the year. Last 2 month of the year help sellers to hit the target of the sales, so they should be used with a total profit for the business. Begin preparing for Black Friday ASAP. Take a look on the biggest holidays in your country not to forget about them, too. Inform your clients about future opportunities, for example, using some Black Friday tips from the Shopify platform. Set up Statistics to see your results. As the resume, let's define that the sales person is given a hard task: create the best strategy and realize it. Sounds a bit too much, doesn't it? But the high quality help comes from the special software applications and plugins. Shopify Black Friday tips are available for downloading and are created to assist you in sales difficulties. This app allows scheduling for Black Friday and Cyber Monday or any other sales and adds special cool labels to discount products to make it more notable. 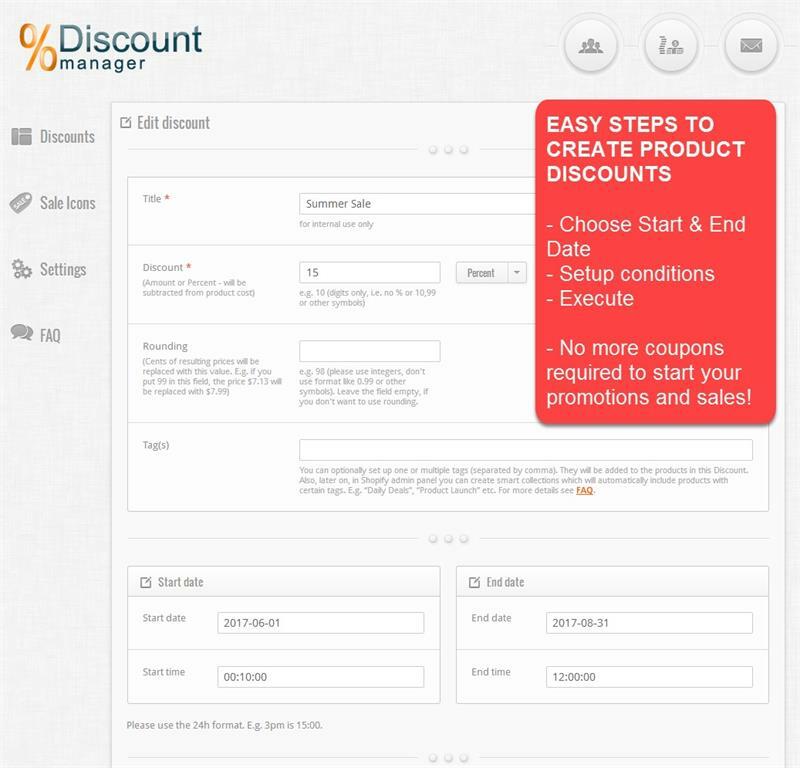 Define the discount, its start and end day. The prices will change automatically accurately on the defined dates. This is one of the best Cyber Monday tips from Shopify! 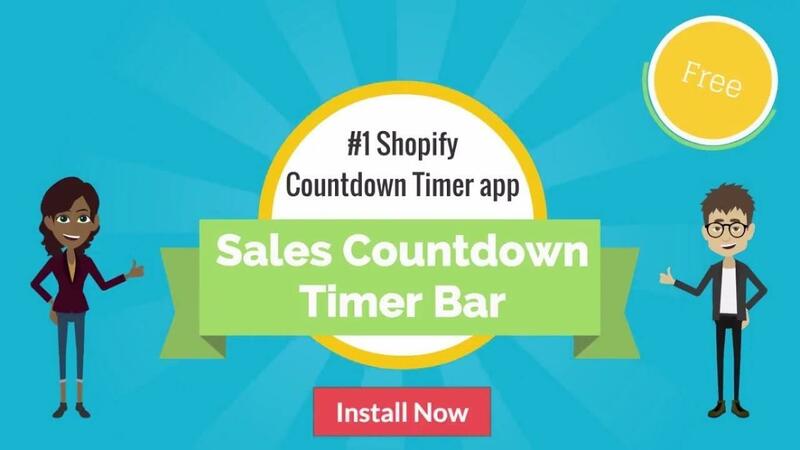 With installing it one gets the opportunity to create countdown timers for products that work perfectly on any device. Choose scheduled or fixed length type of a timer with dates of start and end. Define how long a timer bar would be shown. ✔ What is even more important – it's completely mobile friendly. Fomo is a social proof marketing application, which attracts new customers by showing them what other people have already bought. Simply follow the easy steps of the apps installation, and then customize it for one's needs with the help of the menu. ✔ Real-time interaction of user and notification takes place. Customers should tell their friends about successful purchases, and this application motivates them to do it. More customers – more sales, and that is the Black Friday aim. Setting up does not require any developer's skills, and becomes reality in few clicks. Send a special coupon to the customer; customers receive referral reward for each purchase made by their friend. The app gives the opportunity personalize emails and create special templates, so the client is more attracted to cooperation. Shopify helps even your correspondence to prepare for Black Friday. App integrates with Shopify platform in 1 click. Increase in sales can be noticed only by turning on the pre-built follow-ups. Synchronization matters: emails list can sync with, for example, Facebook. After a long and hard in-store Black Friday, more effective and convenient online Cyber Monday comes. It was incepted in 2005, and online retailers have the best profit exactly on this day. Shopify Cyber Monday tips might be similar to those which were used during preparing for Black Friday, as the same application might be useful for you. The only difference is that Black Friday is considered to be an in-store discount mostly, while Cyber Monday is completely online thing. But of course, borders break, and the 2-days discounts transform to the whole period of sales practiced in-stores and in online shopping as well. Shopify tips for Black Friday and Cyber Monday will be your best assistant in understanding how to prepare for these days – Black Friday, and Cyber Monday.